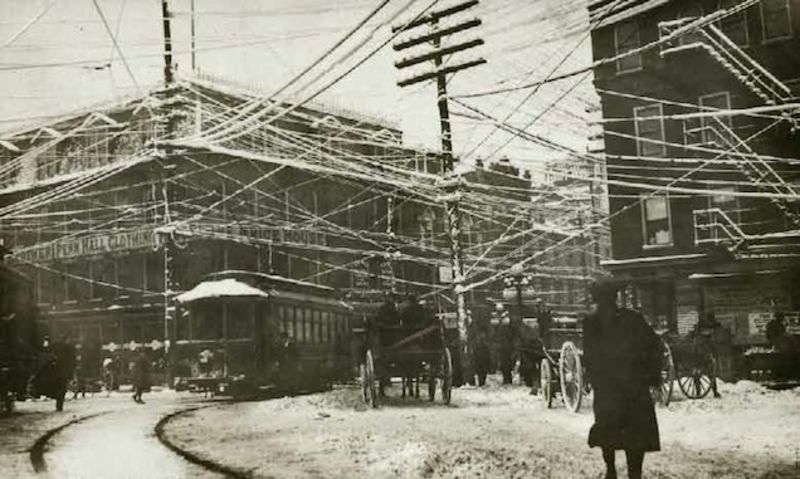 In PA-land, the telephone network is underground. Overhead telephone lines are a thing from the past here. I do not know of interference cases, which does not mean that interference does not exist. As the industry tries to find ways to make money increase the bandwidth, new standards are developed. One of them is G.fast. Nokia, one of the companies promoting G.fast, recently issued a press release about a project in Connecticut. After a period of slow progress, it seems that they are pushing ahead and if the thing gets traction, another wave of interference is making its way into the radio spectrum users. Just as with PLT, I do not expect much opposition from governments, because of the conflict of interests between protecting our rights and serving the industry. Everyone knows who wins that battle. One thing is certain: the industry never cares if there is no money to make. From a technical point of view, LT, G.fast (and who knows what the future will bring) have in common that cabling that is used for these technologies was never designed for that. If you pump enough energy in some sort of transmission medium, it will get across. The G.fast standard states +8 dBm as the maximum aggregate power level. With PLT, we have seen what the effects are. With G.fast, it is easy to predict that the telephone cables (designed for frequencies in the kHz range) will emit. In areas with overhead lines, amateurs will experience interference. That is very likely.